It'll always, always be flawed. Firstly we know that posted menu board calories only matter to those who care about calories, and so when a recent study suggests that for all comers it only causes a small, if any, drop in calories ordered, that's not remarkable given pre-order surveys of patrons in New York City suggest that only about 15% of folks currently care. More importantly though, what no study of menu board calorie impact will ever measure are the calories not ordered by the patrons who decided consequent to menu board calories postings, to eat out in restaurants less frequently and hence weren't included in the study at all. 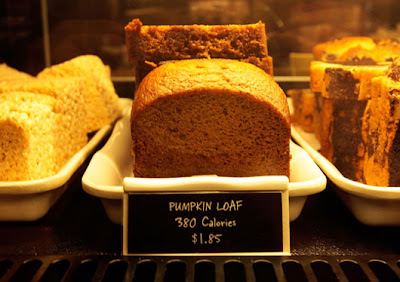 I have to admit, I get frustrated when I read articles in newspapers like the one by Marni Soupcoff a few days ago that suggest menu board calories aren't worth it. Marni's especially given that the restaurants studied in the paper that led her to her broad sweeping and premature conclusion were in low-income neighbourhoods and as I've argued before, the poor may well value dollars more than they do calories (a fact Marni doesn't mention in her blanket thumbs down to the practice). And as I mentioned yesterday, there is never going to be a singular intervention that'll do the trick, but that doesn't mean we should scrap the single interventions. Couple menu board calories with better energy balance and nutritional education in schools, public health campaigns surrounding daily caloric needs as well as a call to action to bring back home cooking, the end to crop subsidies that allow fast food to be sold for pennies, an advertising and toy ban for fast food companies targeting children, and hey, maybe we'll see some changes.